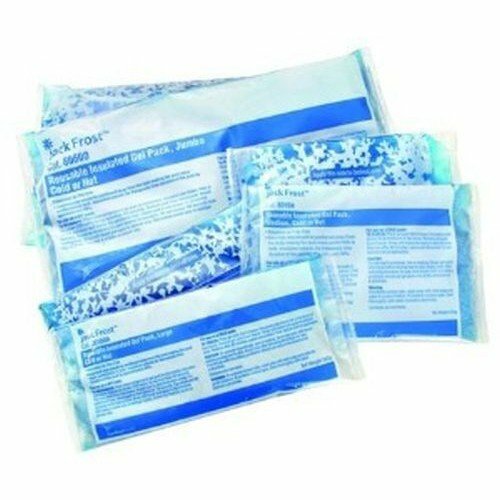 Cardinal Health Jack Frost Hot/Cold Therapy Reusable Packs are versatile pieces of hot/cold therapy that can be used for any number of aches, pains, and other interior and exterior wound types. Ideal for recurring hot and cold therapy treatment, the packs can be placed in a refrigerator or freezer for cold therapy. It can also be placed in a microwave for warm or hot therapy as needed. Ice therapy can assist in dulling pain from bumps, bruises and other dermal contusions while hot therapy can help relax muscles from strains or muscle soreness. 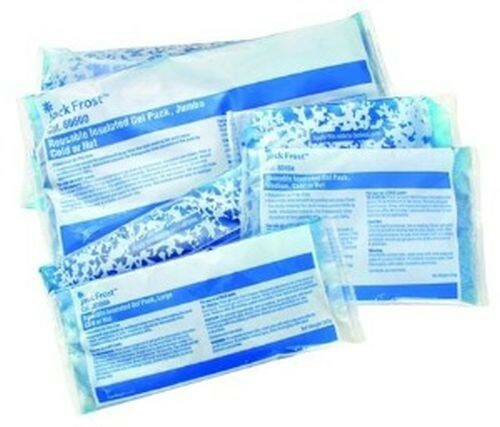 The packs are made of a soft-freeze gel and will stay flexible even when frozen. When you're done using it, the reusable packs can be placed back in the refrigerator, freezer or left in any room temperature area for future usage. The packs are available in 6 x 9 inch or 7.5 x 15 inch sizes.